White House Press Secretary Sean Spicer said Donald Trump "looks forward" to his meeting with PM Narendra Modi on June 26. Prime Minister Narendra Modi on June 26 will hold talks with US President Donald Trump on a range of issues, including India's concerns over possible changes in H1B visa rules and terrorism, in their first bilateral meeting after the new administration took over in the US. The External Affairs Ministry in New Delhi said on Monday that their meeting would provide a new direction for a deeper bilateral engagement "on issues of mutual interest and consolidation of multi-dimensional strategic partnership." In Washington, White House Press Secretary Sean Spicer said Trump "looks forward" to his meeting with PM Modi on June 26 and discuss ways to strengthen the bilateral ties to "advance our common priorities: fighting terrorism, promoting economic growth and reforms, and expanding security cooperation in the Indo-Pacific region." "President Trump and Prime Minister Modi will look to outline a common vision for the US-India partnership that is worthy of their 1.6 billion citizens," Spicer said. Last week, External Affairs Minister Sushma Swaraj in her annual press meet said that PM Modi would raise the issues surrounding the US plans to reduce the number of H-1B visa slots that are mainly used by Indian IT workers. Almost 1.8 million H-1B visas have been distributed in fiscal years 2001 through 2015, according to a Pew Research Center analysis of government data. From fiscal years 2001 to 2015, workers from India received the largest share (50.5 per cent) of all H-1B visas for first-time employment. Apart from ways to enhance trade and business cooperation, the two leaders are expected to discuss defence ties. US Defence Secretary James Mattis has already made it clear that his country recognises India as a major defence "partner partly out of respect" for New Delhi's "indispensable role" in maintaining stability in the Indian Ocean region. The US was exploring "new ways" to address new challenges as well from maritime security to the growing threat posed by the spread of terrorism in Southeast Asia, Mattis has said. PM Modi's visit also comes in the backdrop of Trump's announcement to withdraw the US from the historic Paris Climate Agreement signed by nearly 190 other countries. Trump had blamed India and China for the US withdrawal. "India makes its participation contingent on receiving billions and billions of dollars from developed countries," he said. Strongly rejecting Trump's contention, India has said it signed the Paris deal not under duress or for lure of money but due to its commitment to protect environment. 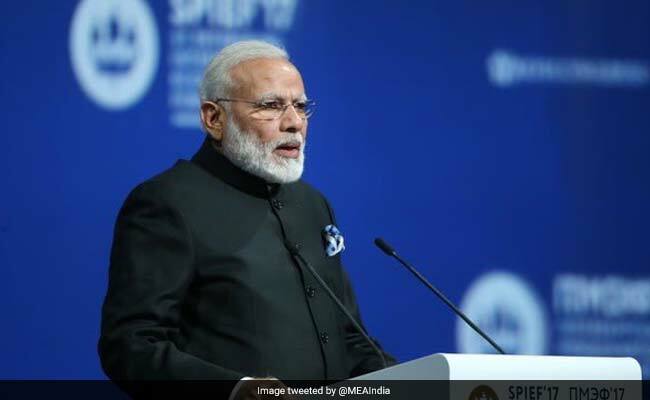 During his visit to France this month, PM Modi even said that India would "go above and beyond" the Paris deal to protect climate for the future generations.